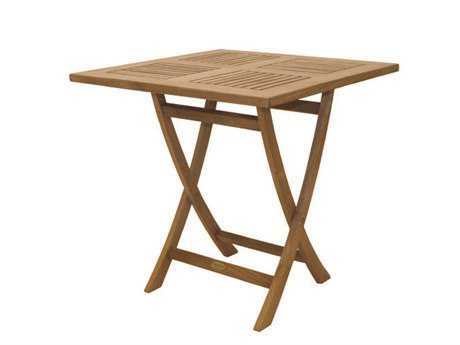 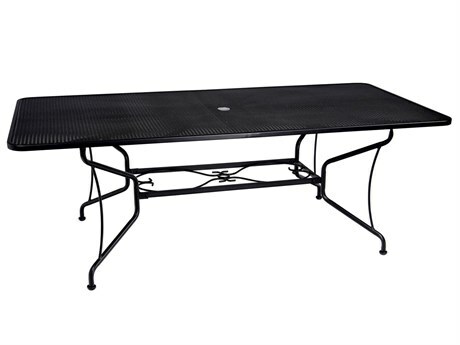 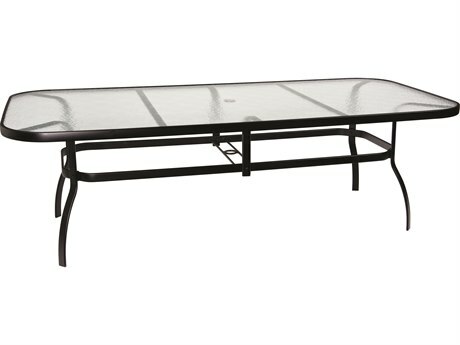 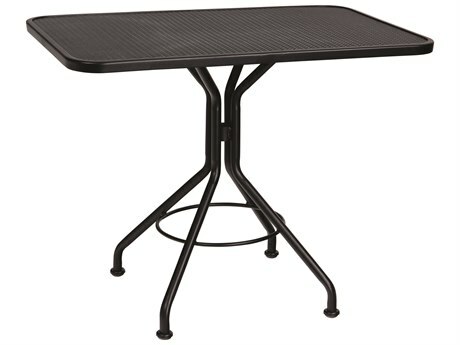 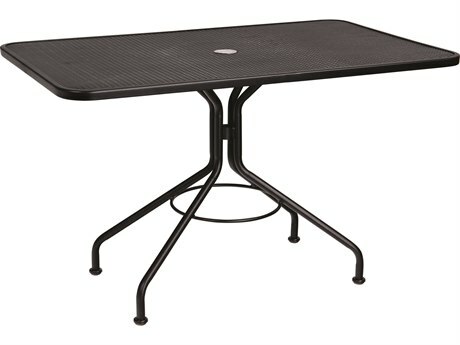 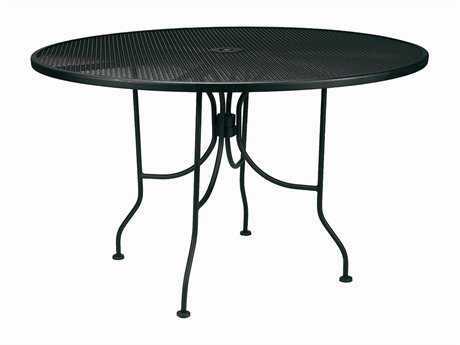 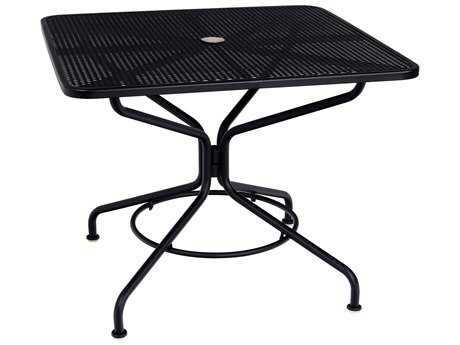 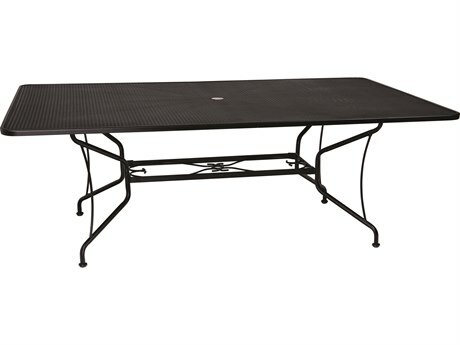 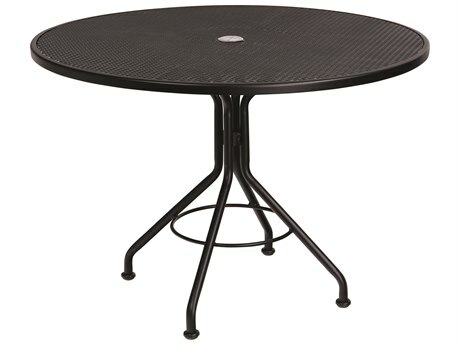 One of the most popular patio table options available, patio dining tables are a staple of outdoor furniture. 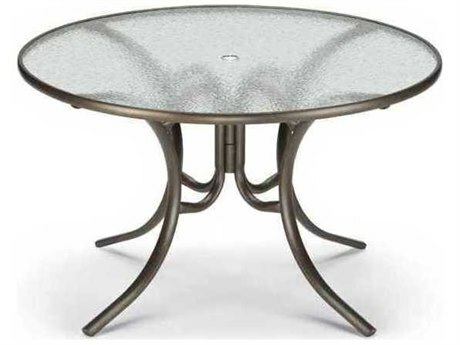 Ideal in any patio space, an outdoor dining table contributes to a classic outdoor aesthetic and brings versatile functionality to both residential and commercial settings. 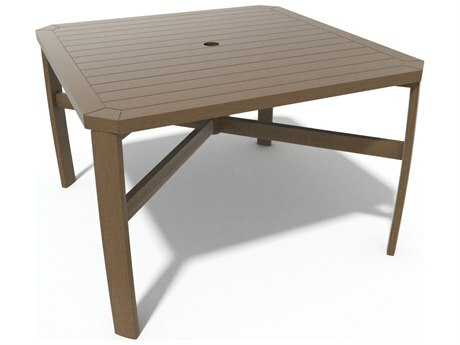 PatioLiving carries a wide and diverse inventory of tables, with numerous sizes, finishes, materials, and shapes available. 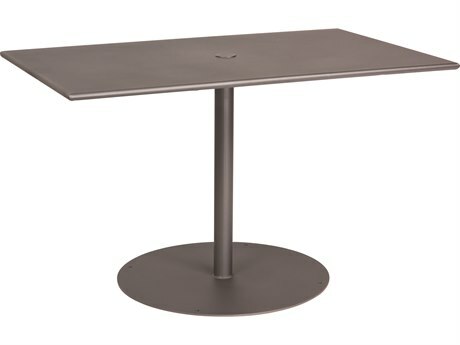 With styles that range from traditional to contemporary, our inventory includes tables to appeal to varied aesthetic inclinations and meet the spatial requirements of any dining space. 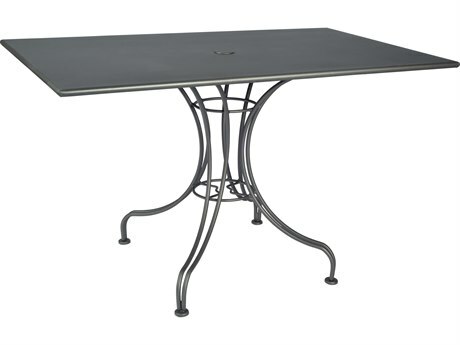 One advantage of choosing a dining table for your outdoor living space, is the sheer quantity of options available. 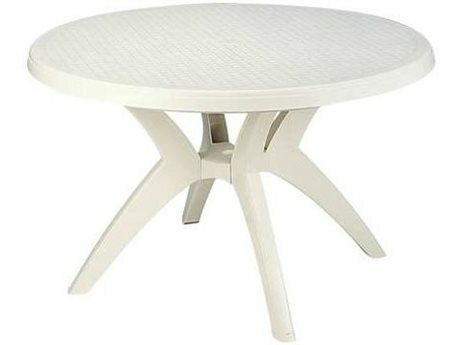 Available shapes for an outdoor dining table include square, round, rectangular, oval, and others, with sizes ranging from 24" to 84". 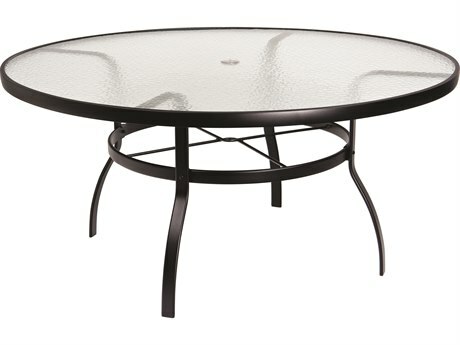 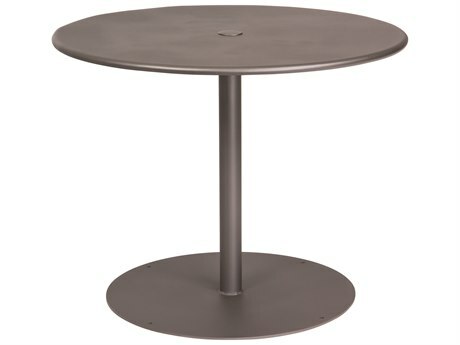 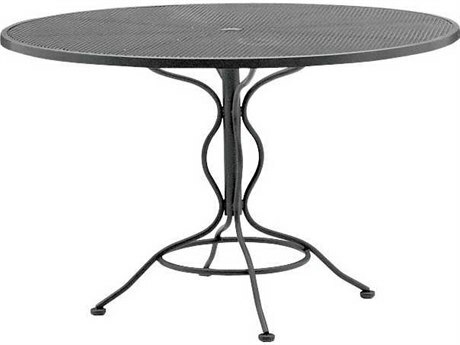 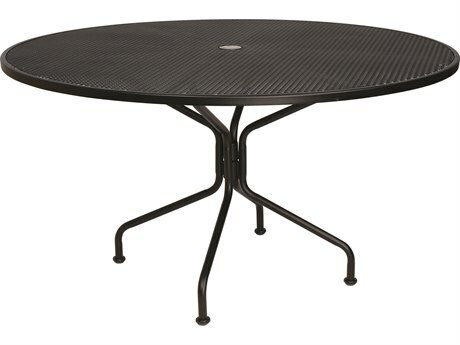 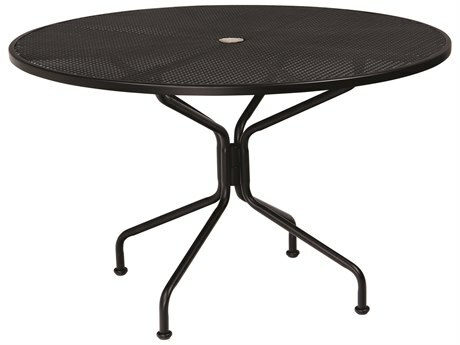 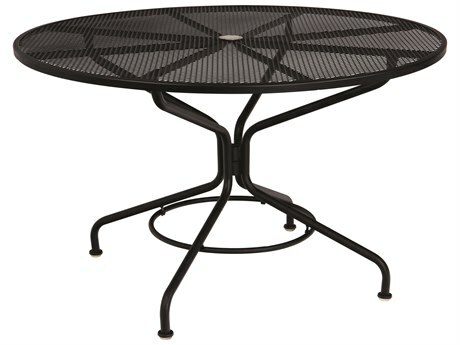 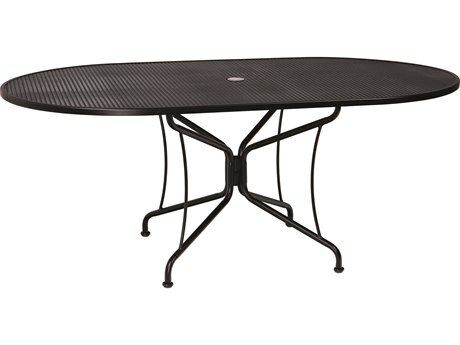 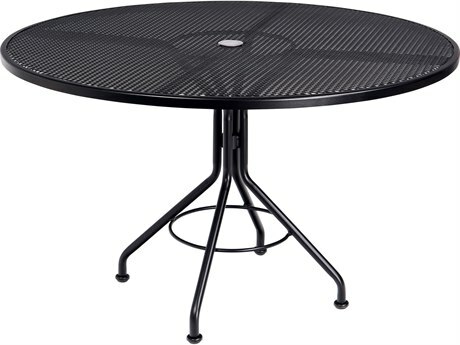 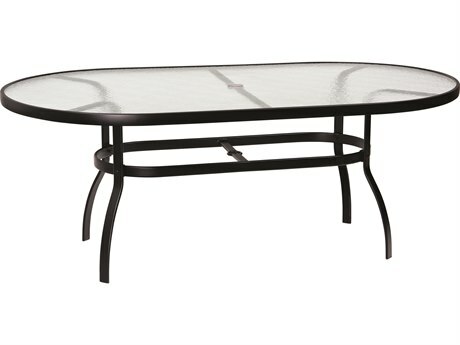 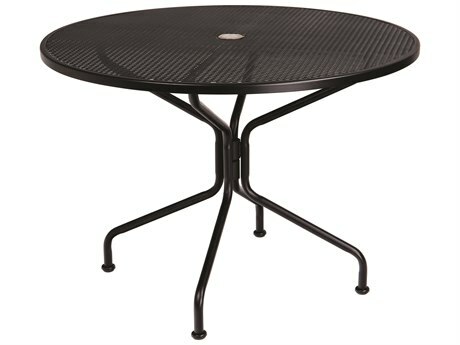 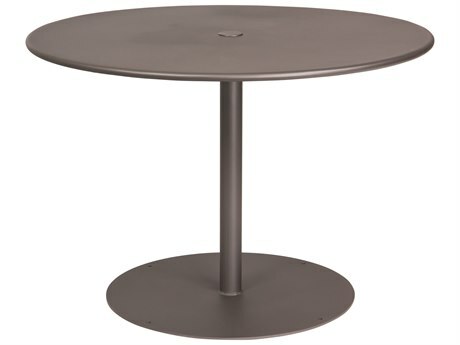 A square table might be perfect for your patio, while a round dining table could be ideal for someone else. 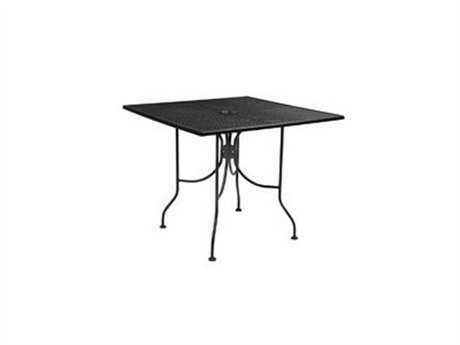 A patio dining table functions well in many spaces, from balconies to expansive patios, providing a surface for eating, gathering, or any other miscellaneous use. 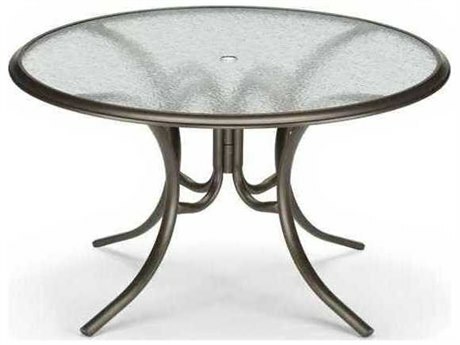 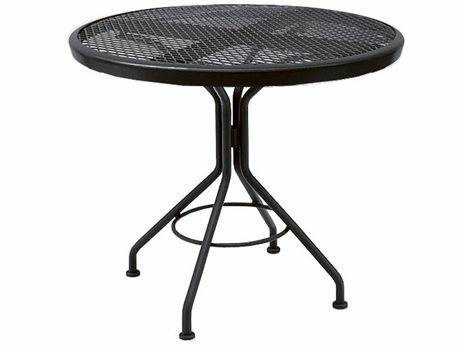 These tables are crafted from all popular outdoor materials, with cast aluminum, aluminum, wicker, and wrought iron being the most common options. 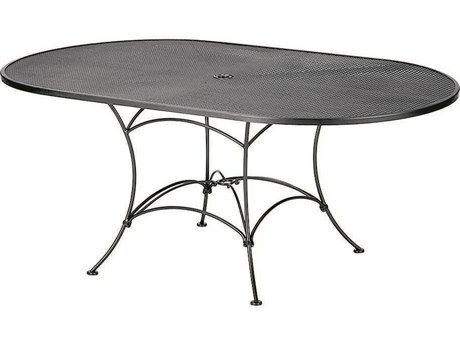 Wrought iron options typically feature umbrella holes, mesh tops, and sturdy base frame. 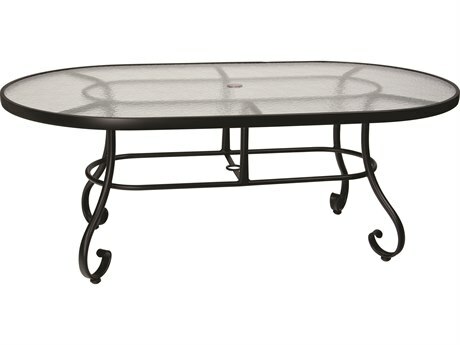 Carrying a quintessential outdoor aesthetic, wrought iron tables capture the look of traditional patio dining. 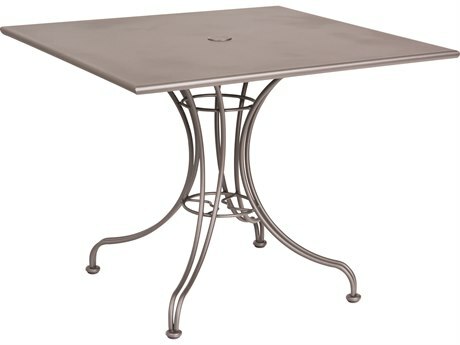 Cast aluminum and aluminum options are offered in many finishes and are both relatively lightweight and easy to move. 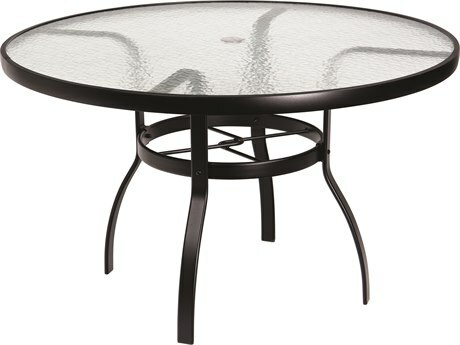 Wicker tables are offered in various color options, and feature a signature upscale, woven look. 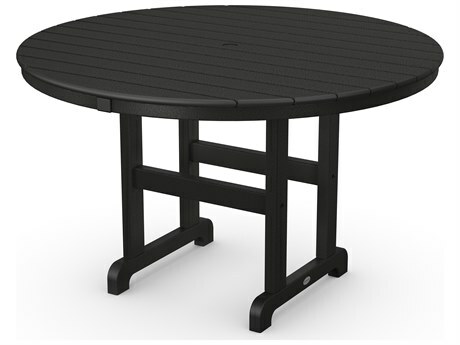 Most large outdoor dining tables are weatherized for resilience to the damaging effects of wind, rain, and snow, and can be kept outdoors throughout all four seasons while still maintaining their functionality and appearance. 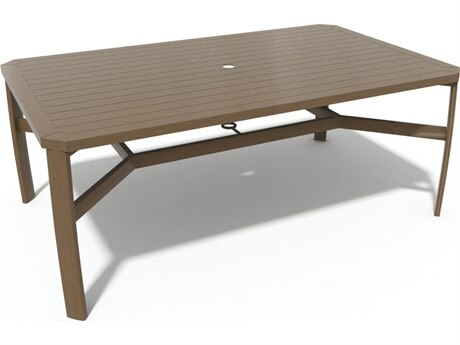 Teak, wood, recycled plastic, and steel are among the additional material options available. 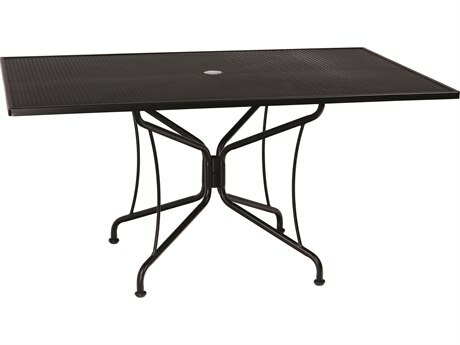 PatioLiving also offers pool dining tables, which is perfect for summertime entertaining and enjoying cocktails poolside. 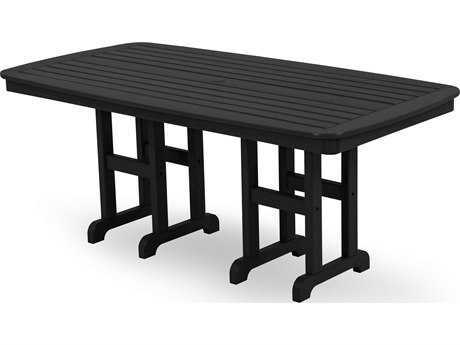 Patio dining tables represent a traditional and timeless outdoor furnishing, suitable for anchoring any furniture arrangement. 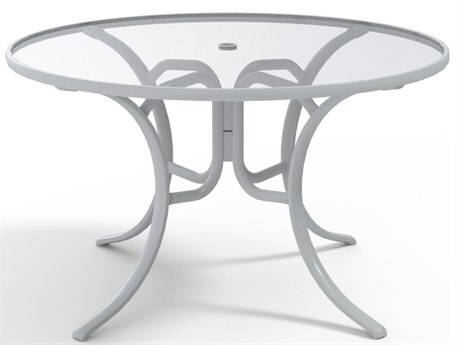 These tables can be paired with standard outdoor dining chairs for varied looks and levels of comfort. 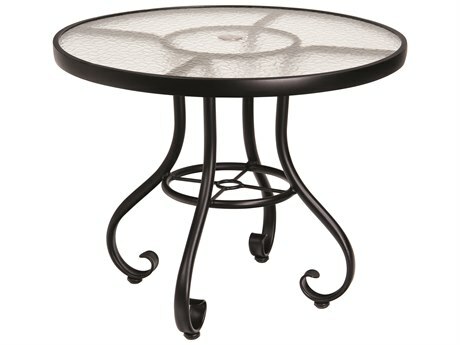 For ease of decorating, these tables can be purchased as a part of any patio dining set, for an effortlessly cohesive look. 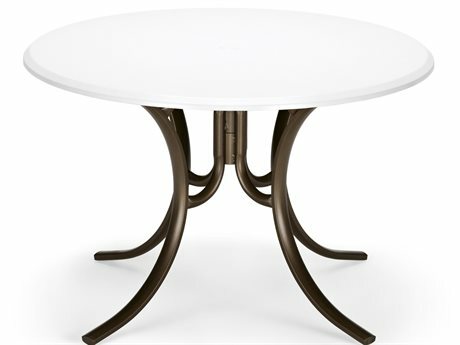 For a sleek and unified aesthetic, metal dining tables can be coordinated with metal frame chairs with matching finishes. 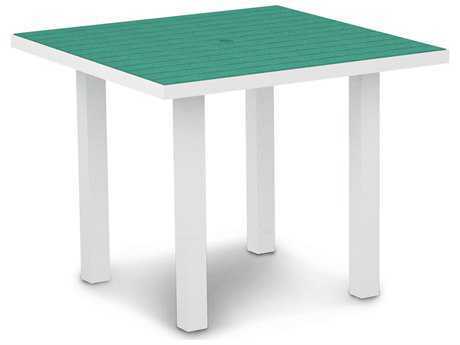 These tables can also be used with sling dining chairs or cushioned dining chairs for a more comfortable arrangement that incorporates various patterns and colors for a dynamic appearance. 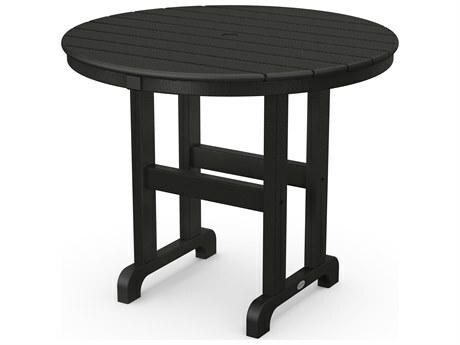 Outdoor dining tables function well in various commercial settings, from restaurants to country clubs. 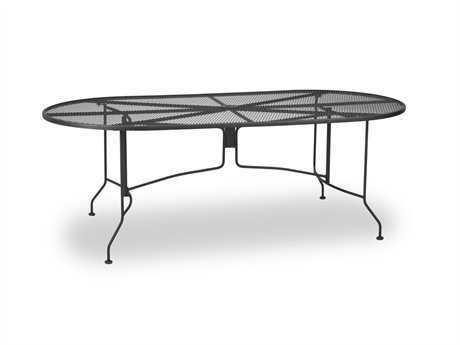 In private settings, any patio dining arrangement can be complemented with additional furnishings such as patio bars or serving carts for additional outdoor functionality. 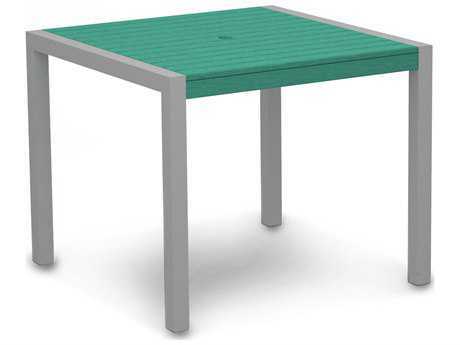 These tables can be styled much in the same way as their indoor counterparts. 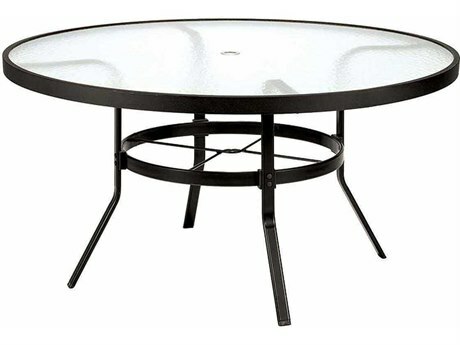 They can be adorned with tablecloths, runners, centerpieces, or flowers for a decorative look that infuses your outdoor living arrangement with personal style. 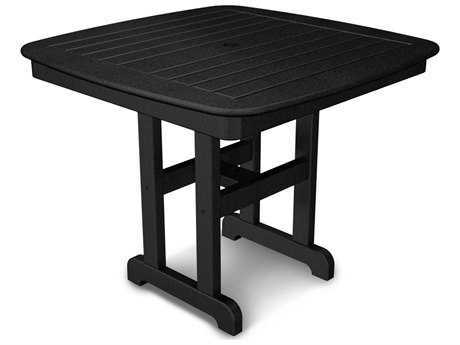 If you have any questions, don’t hesitate to reach out to our friendly product experts. 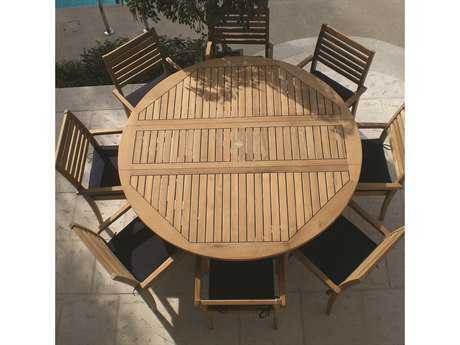 You can also refer to PatioLiving’s Outdoor Materials Buying Guide for more information.